When you join the World Market Explorer Rewards Program, you’ll receive a coupon for $10 off a $10 purchase at Cost Plus World Market to use during the month of your birthday. No worries if your birthday is several months away; when it gets close, they will send you an email reminder to login and print your coupon to use at your local Cost Plus World Market or World Market online! What a great birthday freebie! Find more deals for your special day when you check out my complete listing of birthday freebies! 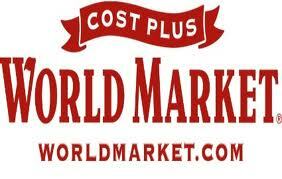 Cost Plus World Market is one of my favorite stores to shop at! It’s even better when you have a World Market coupon and save money.